Tempera Still Life Painting Project With Kids! When my daughter painted her very first still life, it was amazing to watch her really envelop herself in the whole process, and have so much fun doing it. 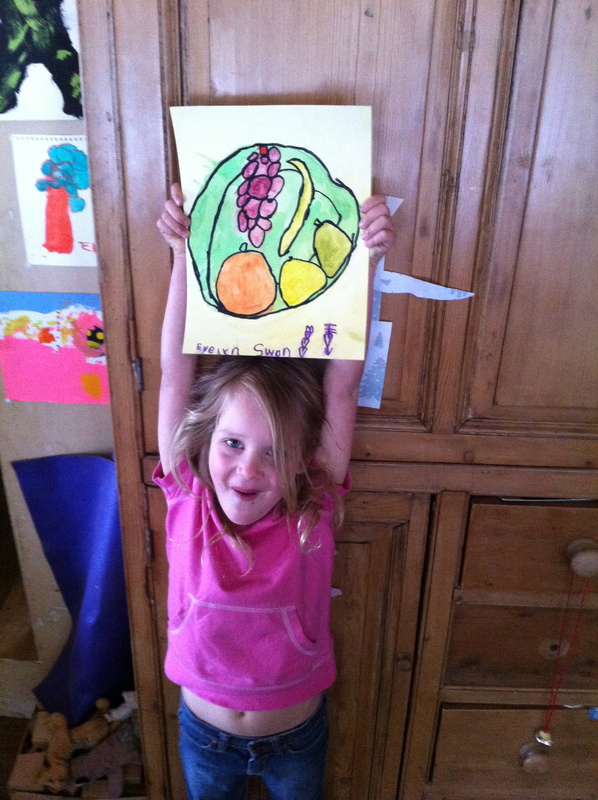 She arranged her fruit, mixed her own paints with 3 primary colors, sketched, and then painted, her subject. Watching her delight as she discovered that adding a few simple lines gave the bowl depth was priceless. It was such a wonderful experience for both of us, that I would like to share our version of a still life painting “learning unit” for kids. This is just what we did, you can adjust along the way to suit the child’s needs. 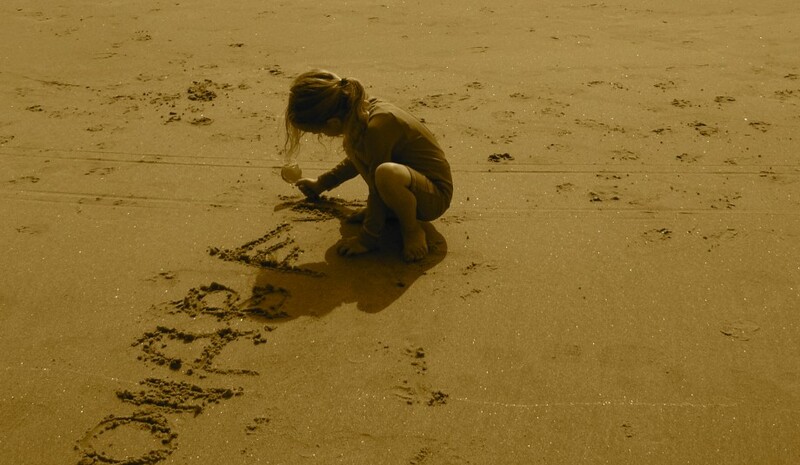 This is a project to delve into when the child is relaxed and feeling creative. This is not a project to do today if mom or kiddo is feeling rushed. Early still life painting is special and needs as much time as it takes. Here goes! Supplies to have ready: bowl, fruit, pencil, powdered tempura paints in red, yellow and blue, paint smock or old shirt, paint brushes, newspapers, black marker, glass of water and rag to rinse brushes, thick paper suitable for paint, popsicle sticks or spoons for mixing the paint, and a small plastic palette or little cups for the paints. Step 1. We talked about what a still life is, as we gathered materials. Basically, a still life is a picture of inanimate objects, such as fruits, flowers, books, etc., usually grouped on a flat surface. I also took this opportunity to reiterate the terms “landscape” and “portrait” in terms of placement of the paper. Portrait is when the shorter side of the paper is at the top, and landscape is when the longer side is at the top. Step 3. Captain sketched her still life by drawing a large circle for the bowl in pencil, and then drawing many circles bunched together for grapes, and other shapes for the rest of the fruit. It was great! After she sketched, we took a break and then returned to mix the paints. Step 4. 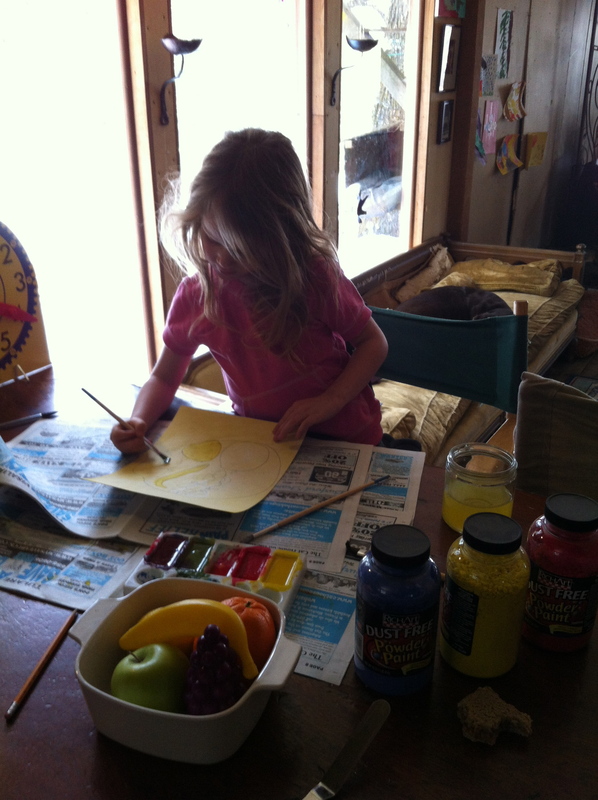 From the 3 primary colors we had, Captain was able to make all of the colors she needed to paint her still life. She measured out about a teaspoon of powdered paint into her cups and mixed water, a little at a time, to make her colors. (I wish I had offered her a dropper to use for the water as I think she would have really liked using one with the paints. She could take her time and add drop by drop, because that works with her personality!) She needed red, green, purple, yellow and orange to complete her project. 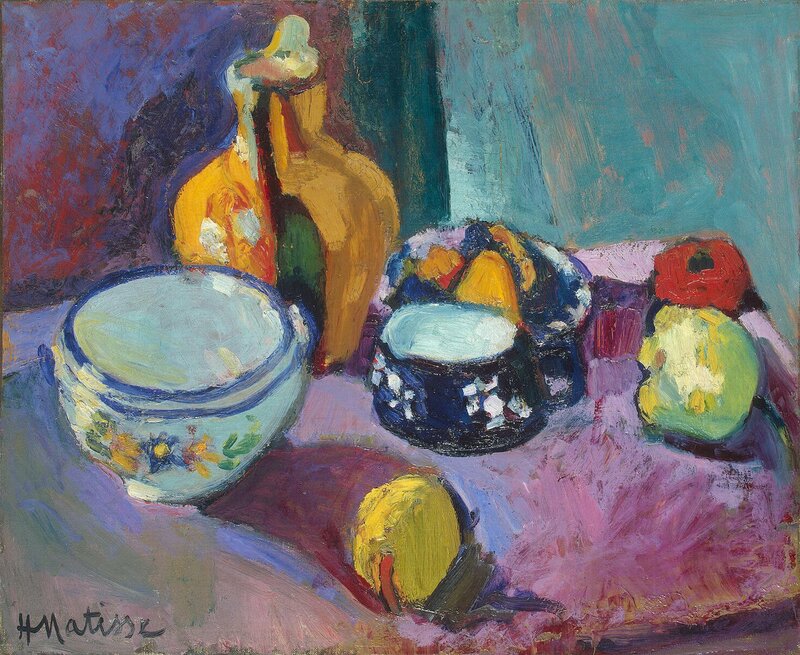 She mixed her colors and painted her fruits and bowl. This is a good time to remember that red and yellow make orange, and so on! The painting looked wonderful already! Step 6. After lots of ooohs-and-ahhhhs over the painting (! 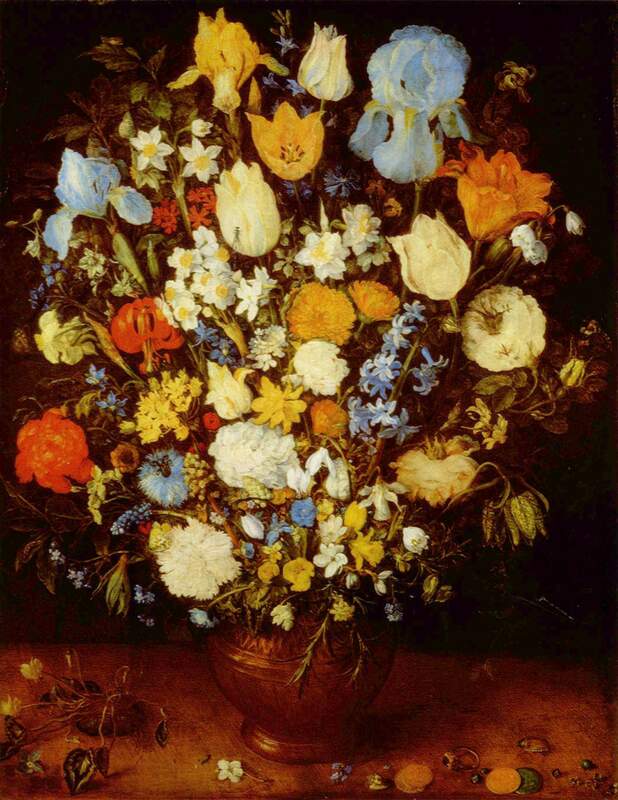 ), now is the time to ask the child if they would like to give their still-life a name (always refer to it as a “still life” and not “picture”). Captain didn’t want to give hers a name and so we called it an “untitled painting” and talked about it. I have found that kids like to discuss their paintings after they are done. She wanted to talk about the colors, the arrangement and how she felt while she was doing it. She was positively lit right up! I just can’t express how cool it was to be with her while she talked about her art with such animation. We hung it right up and she couldn’t stop admiring it. When her dad came home, he barely got into the door when she rushed him over to admire it. Even now, a few months later, when someone comes visiting she often takes them right to her still life to tell them all about how she did it. She is so proud and I am even more proud than she is! 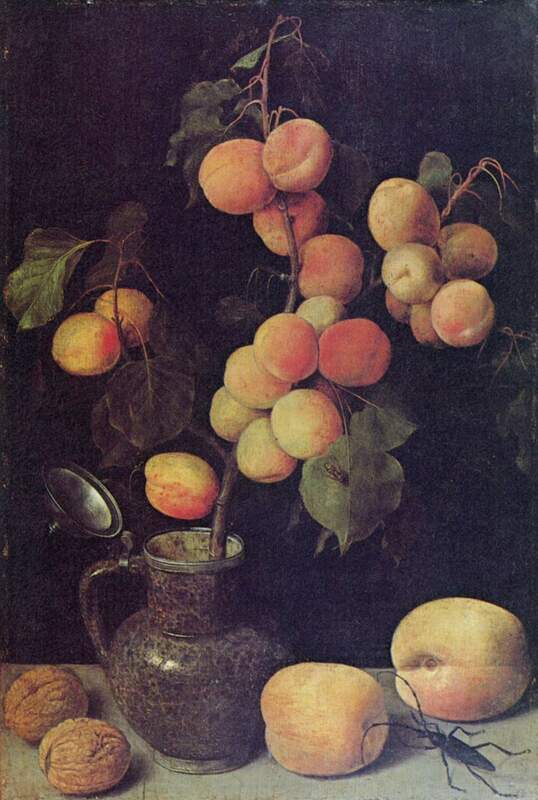 After the fact, it is wonderful to show some examples of famous still lifes throughout history. I prefer to show Captain other artists’ works after she has done hers. I just want art to be pure and open for her so that she can approach things with her own creative mind and heart, without preconceived notions of how it “should” be. 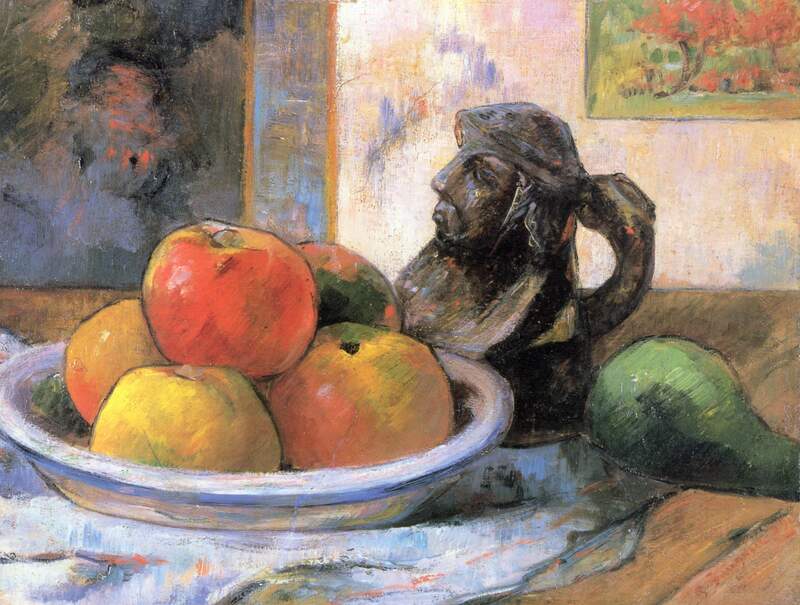 There are so many still lifes to choose from in art books, magazines, online etc. I will leave you with 4 wonderful examples to share with your little artists. Thanks for reading. This is a drawing that Captain did right before her 4th birthday. She was very into human anatomy and was so proud to have drawn ribs for the first time. We just love this piece, and the cool name she gave it, and framed it to hang on our kitchen wall at The Cabin. Kids do amazing things when they are allowed the freedom to express themselves through art and music! I am a huge proponent of letting kids use any art supply available, as long as it is safe. 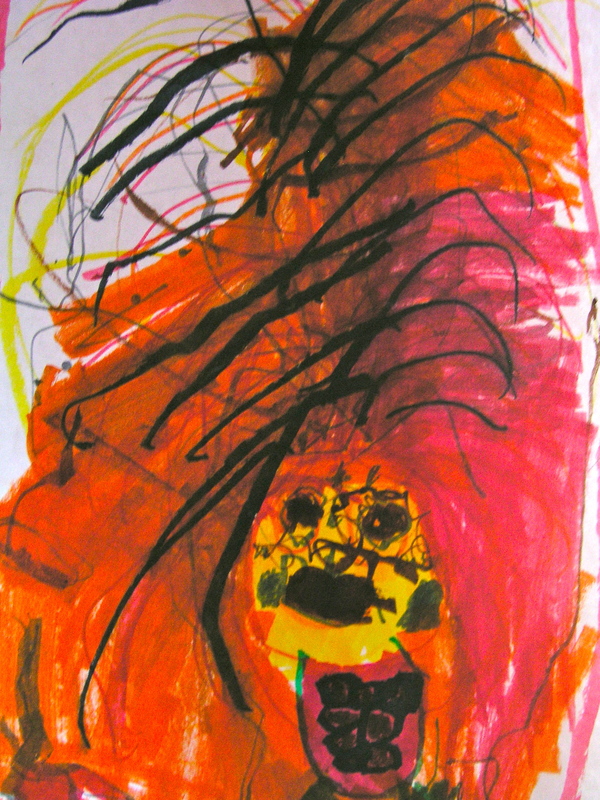 I will be posting photos of artwork from kids, and adults as well, from time to time here on kartwheels. Sometimes it feels really great to just know that others have viewed your work! If you have a piece of artwork to share, please contact me and we’ll try to post as many as we can. This is a really fun indoor project, perfect for a cold (or warm!) winter’s day. They turned out so charming that we decided to make them again in the fall, assembly-line-fashion, for some sweet Christmas presents for family. You’ll need: a pack of colorful felt, pillow stuffing, scissors and a hot glue gun. First, choose your colors for your front and back of the pillow. We simply took a 8.5×11 piece and cut it in half. We both chose to have our front and back pieces the same color, but you can mix and match anything you want. Plug in your glue gun to get it warmed up. Decide on a design, but encouraging younger kids to stick to simple shapes is helpful, as the felt can be difficult to cut with intricate designs. This is also a great time to talk about the artist Piet Mondrian (see below). Cut out your design pieces and decide how to arrange them on one piece of the background. Mom’s (or another adult) job is to glue the pieces on with the glue gun. Admire them! Then the adult will make a line of glue, about 1/4 inch from the edge, on the back panel. Leave a gap on one side for stuffing the pillow. Press the designed front onto the back and let it dry (this happens pretty quickly). Now it’s time to stuff the pillows- yay! Glue the gap closed and voila! Piet Mondrian was born in the Netherlands in 1872. He was influenced by many artistic styles, and even helped found an artistic movement called “De Stijl”. He died in 1944, and created about 250 paintings in his lifetime. The paintings that Piet Mondrian are most famous for are rectangles of white and primary colors, dissected by black lines. He did not always paint this way, however. Mondrian’s first paintings depicted scenes found in real life. They were done in a style similar to impressionism. As his style grew and changed, he stopped using any colors besides the three primaries: red, yellow, and blue. Mondrian became friends with some other artists and together they began the movement called neoplasticism. They called it “Di Stijl” after the first name of a journal that Mondrian and his friends started. Both “neoplasticism” and “Di Stijl” are correct terms. They believed that the essence, the foundation of all things, could be found in the simplest form: straight lines and primary colors. Try a Mondrian-inspired pillow! Use white felt for the background and make simple squares and rectangles in red, yellow and blue. The colors really pop on the white background! 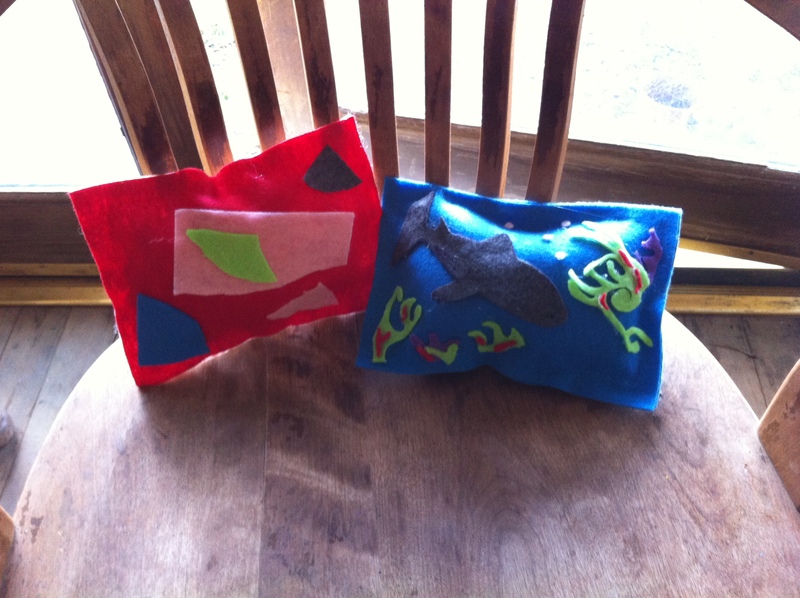 Visit education.com for more on felt pillows and we’d love to hear your felt pillow ideas here on kartwheels!